If Apple were to design a hotel, it would look like Nine Hours (9h). 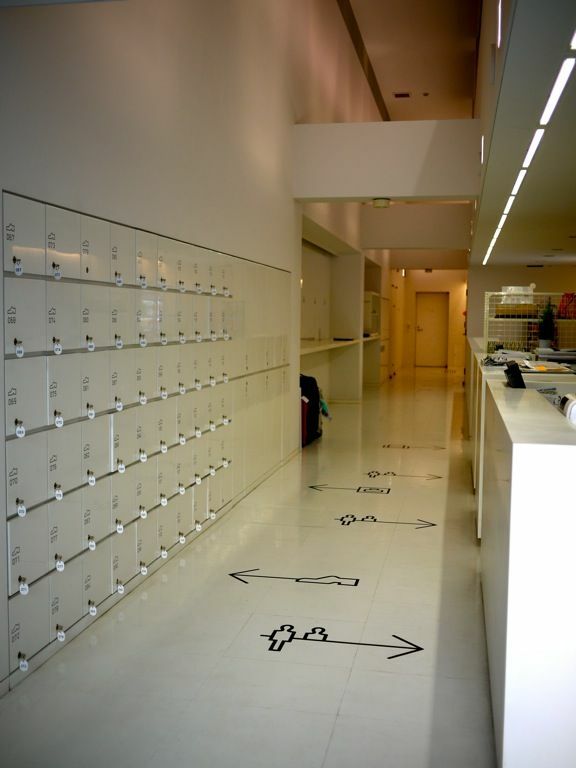 Clean and sleek lines, futuristic and stark design, idiot friendly check in system, minimalist comfort. 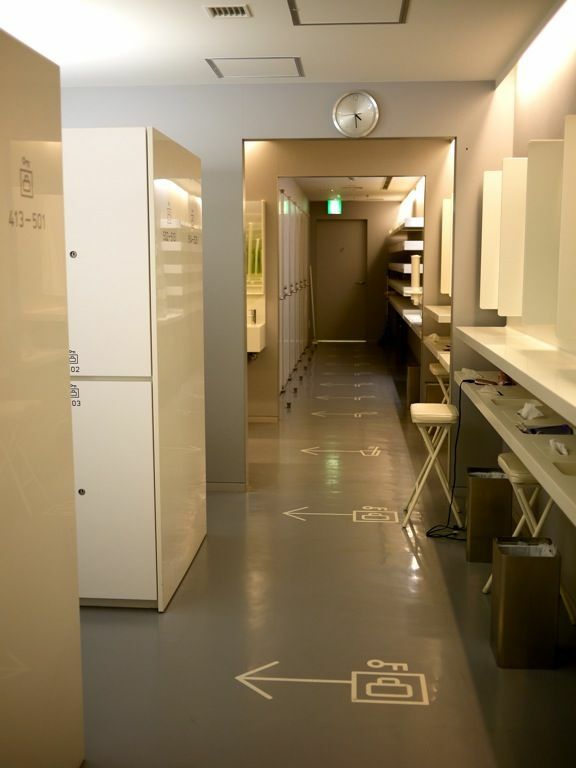 Welcome to the future of capsule hotels, right smack in the heart of traditional Kyoto. We stayed here just for a night because it's too cool not to be checked out and the novelty of sleeping in a capsule was certainly a major pull factor. 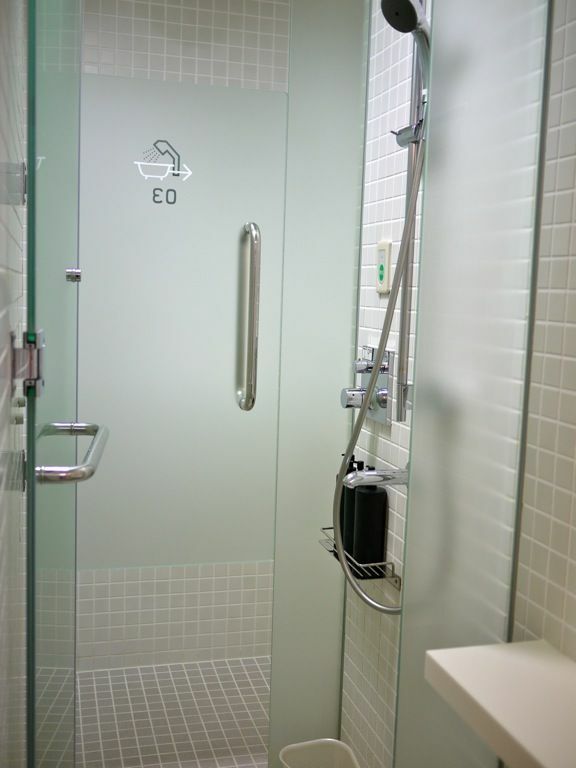 The concept: 1 hour shower + 7 hours sleep + 1 hour rest = 9 hours; the optimum length of time for a short yet complete stay. Signs guide you silently and effectively. Quite perfect for the antisocial. 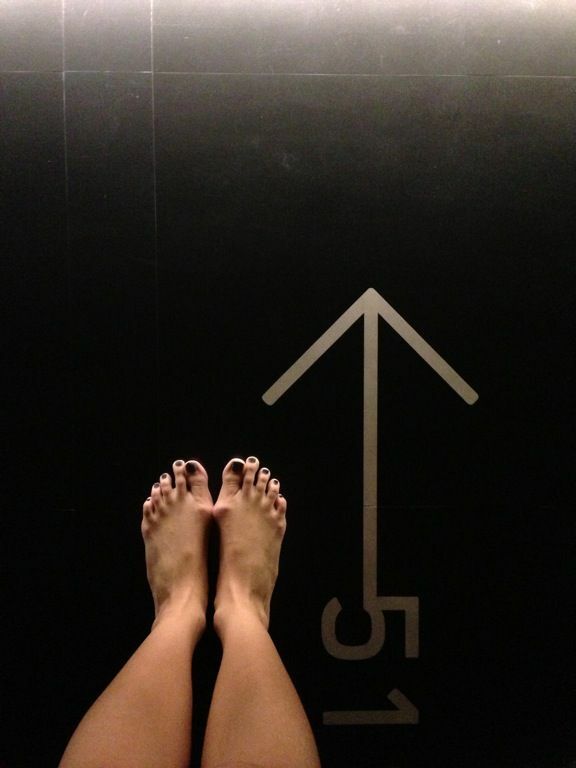 Shoe check, luggage check, and then off to the showers. Follow the number on your key tag and deposit your belongings in the locker. The size is big enough for a cabin bag or medium sized backpack. 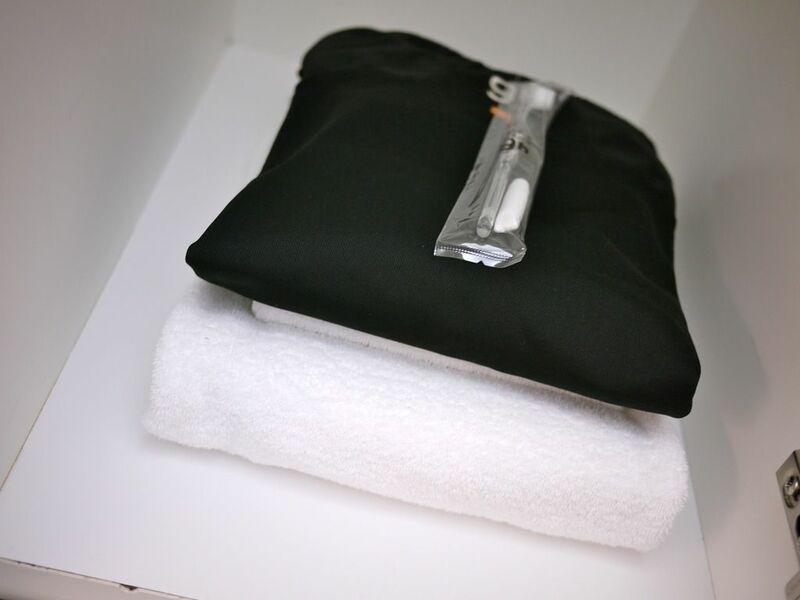 Fresh towels, toothbrush set, a comfortable set of PJs and slippers welcome you after a long day of transit. A hot shower awaits and there's even a shared hot tub on the other side of the frosted door should you need a relaxing soak. I felt like Scarlett Johansson in The Island after donning the chic black pjs. 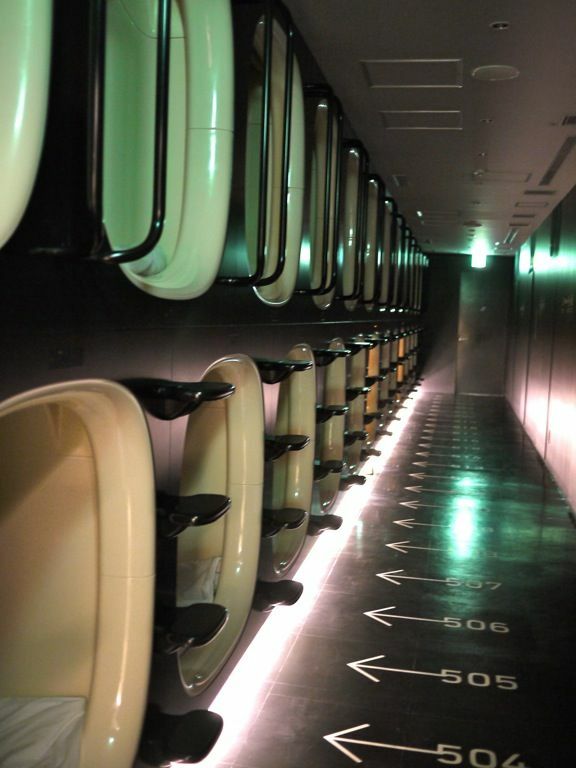 The gender specific lifts will take you to your designated sleeping pods. 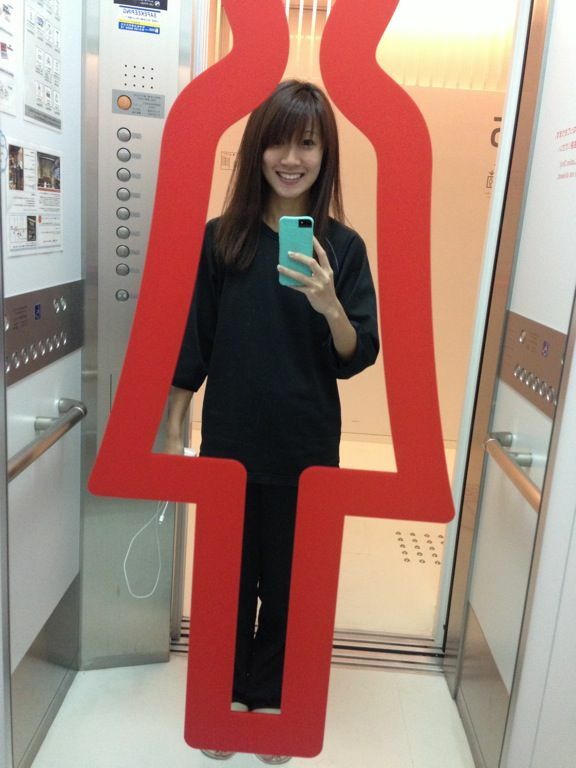 Certainly very safe for solo women travelers. 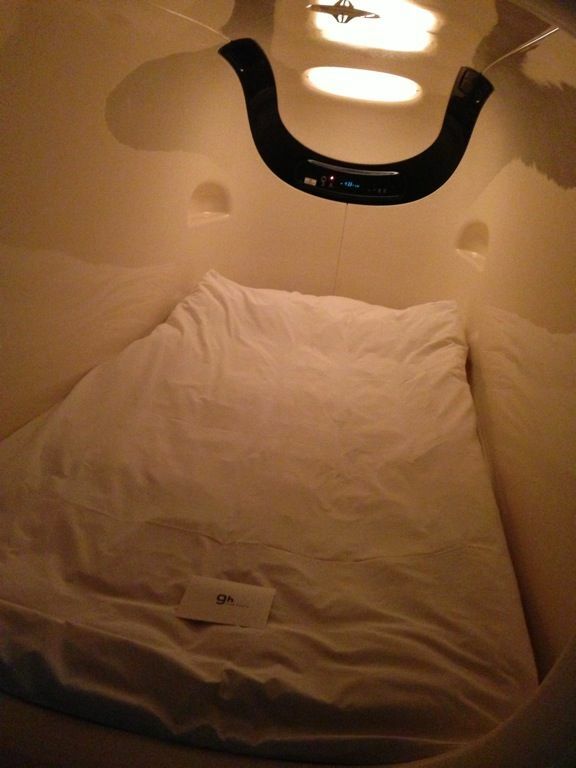 The quiet and dimly lit pods were very conducive for a deep rest. There's ample head and leg room even for the non Asian travelers. No worries about alarms going off while you are asleep. A sleep ambient control system is used to help you fall asleep and wake naturally to the brightness level in the pod. How cool is that right? A shade shields you from the outside world without causing claustrophobia. The pods are for 900Y for a day and you can stay up to a maximum of 17h (not just 9h). There's even a sleek space for work or lounging. 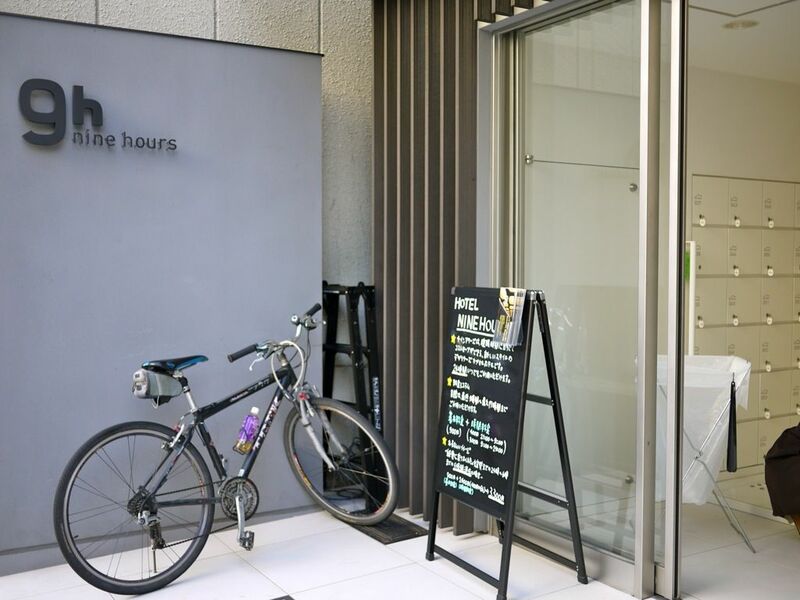 I'd definitely recommend this for travelers who want a centrally located spot in Kyoto for a short stay. Check out the video for a better sense of how 9h is like.